Binoculars are like eye glasses, you use them to see things better. Next to eye glasses, binoculars are the most used optical instrument. Binoculars have a lot of use hence there are different types of binoculars. If you are looking for the best binocular, it really depends on your need because for every need, there is a best binocular to match it. 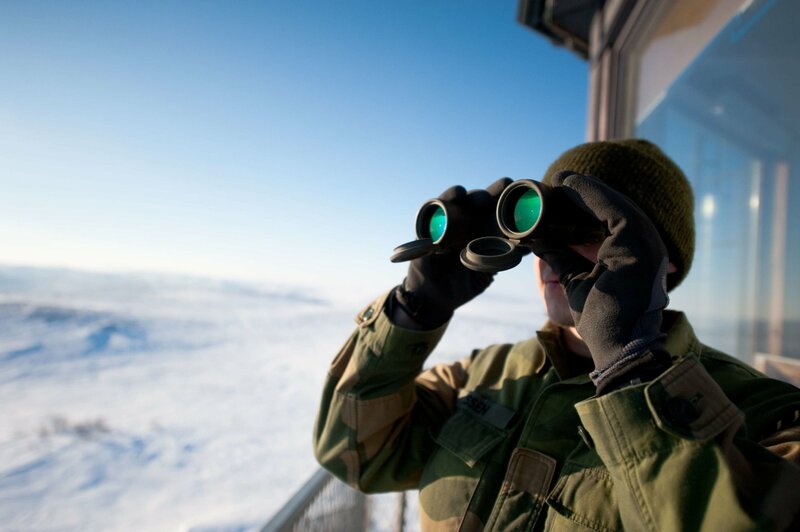 What are the type binoculars in the market today for general needs? People who purchase binoculars use their binoculars for regular day by day activities such as for concert viewing, live sports viewing, outdoor activities like hiking and bird watching. For these activities, light and compact binoculars are the top considerations. 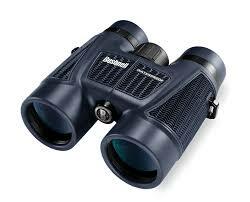 For hunters, a good hunting binocular that works well even in low lights condition is very important. Not all hunting binoculars are the same. For small hunting games, getting a binocular with 7x or 10x magnification power is better while for varmint hunting, a binocular with 12x to 16x magnification power works well. Check different binocular reviews in order to find the best binocular that will suit your hunting needs. Click here for the Best Binoculars available in 2016! Click here to read from 48 customer reviews! Click here to read from 126 customer reviews! Click here to read from 669 customer reviews! Click here to read from 127 customer reviews! Click here to read from 1968 customer reviews! Click here to read from 849 customer reviews! Click here to read from 2231 customer reviews! Here are the top 20 best binoculars from different brands in the market today. For this binocular review, here are the top binoculars in the market today from Bushnell. Rated 4.1 out of 5 stars from 2094 customers. Click the image for prices and reviews! For this binocular reviews, the first item that we will look at is the Bushnell PowerView Compact Folding Roof Prism Binocular. This binocular costs $ (click here for the price). For this price you will have a center-focus binocular that you can use even with your eye glasses on because of its fold down eyecups. This top binocular in the market today from Bushnell comes with a fully coated optics. This ensures optimum resolution and brighter image even when using it in a low light condition. It has rubber armored body for optimum durability. With this binocular, you can enjoy bird watching with its 10×32 magnification power using its roof prism system. The Bushnell Powerview Compact Folding Roof Prism Binocular features BaK-7 prisms. The body of this binocular is made or non-rubber slip armor and it is shock absorbing. Now, you can easily change the settings using the center focus knob of this Bushnell binocular. Rated 4.6 out of 5 stars from 633 customers. Click the image for prices and reviews! Also, one of the top binoculars of Bushnell is their Bushnell H2O Waterproof/Fogproof Roof Prism Binocular. 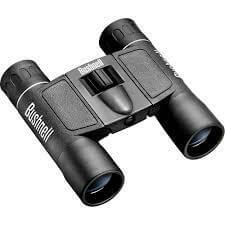 This binocular costs $ (click here for the price) and for the said price, you will have a Bushnell binocular that comes with HD quality optics. This one of the top binoculars in the market today from Bushnell is made from materials that are tested in terms of durability and performance. With this binocular, you can be sure that you can still see even if it is foggy or the raining. The O-ring sealed and nitrogen purged lenses can assure you that. It features BaK-4 prisms and with its multicoated optics, hunting and stalking a deer even at dawn is not an issue. The Soft Texture Grip feature of this Bushnell binocular also keeps it shock resistant and with its non-slip rubber armor, you can have a firmer hand grip on your binocular. The Bushnell H2O Waterproof/Fogproof Roof Prism Binocular features a 10×42 magnification power and with it, you can enjoy a 17mm eye relief plus a 12-foot close focus distance with your target. Rated 4.1 out of 5 stars from 786 customers. Click the image for prices and reviews! From different best binoculars reviews, the Bushnell PowerView Super High-Powered Surveillance Binoculars is one of the top favorites. The Bushnell PowerView Super High-Powered Surveillance Binoculars has a tag price of $ (click here for the price) and with it, you can have a good quality with HD clarity optics. The Bushnell PowerView Super High-Powered Surveillance Binoculars features a 10x magnification power on its 50mm objective lens. The design of this Bushnell binocular mirrors durability. This features Perma Focus optics offering wide angle in every viewing. Another feature that makes it one of the top binoculars in the market today is its fixed-focus operation dials. It means regardless of how far you are it can focus easily. The Bushnell PowerView Super High-Powered Surveillance Binoculars is highly recommended for general use such as bird watching and with its fully coated lens, you can also use it for hunting with satisfactorily result. The last on the list of our best binoculars from Bushnell is the Bushnell Powerview Compact Folding Roof Prism Binocular. This binocular from Bushnell costs $ (click here for the price). With its 10x power magnification on a 25mm objective lens, you can now enjoy bird watching and other outdoor activities. You can also enjoy your binocular that was built to last because Bushnell made sure that this is made from top quality materials only. Being one of the top binoculars in the market today, the fully coated lens of the Bushnell Powerview Compact Folding Roof Prism Binocular will allow you to see even in the darkest night. The body of this very affordable binocular features a fold down eyecup to make it easier to use for people with eyeglasses. For this binocular review, here are the top binoculars in the market today from Zeiss. Rated 4.4 out of 5 stars from 38 customers. Click the image for prices and reviews! For this binocular reviews, the first Zeiss binocular in our list is the Zeiss Terra ED 524206 Binoculars. This binocular from Zeiss has a price tag of $$ (click here for the price), a great binocular for hunting with a great price. Being one of the top binoculars in the market today, the Zeiss Terra ED 524206 Binoculars comes with a fiberglass waterproof casing. As for the optics coating, it comes with a SCHOTT ED glass and a hydrophobic multilayer coating for optimum performance even when in low light conditions. 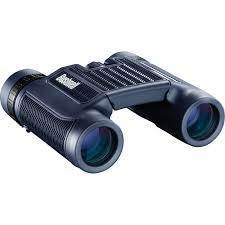 This binocular has a quick, easy to use optics and it features a 10 X 42 magnification power. Even if you are wearing an eye glass, you can still use it because of its eyecups designed for easy viewing. The Zeiss Terra ED 524206 Binoculars with a special grip area so holding it for a long period of time won’t cause an achy arm afterwards. One of the best features of this Zeiss binocular is the precision focusing system for easier target shooting. Another top binocular from Zeiss is the Zeiss Terra Ed Compact Pocket Binocular 8×25. 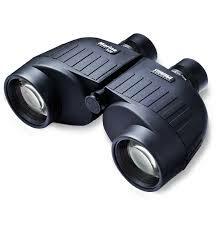 This binocular is a compact one, good for hunting and regular day to day outdoor activities. For a price of $$ (click here for the price), you can now enjoy more of your outdoor activities especially bird watching with its superior image quality. The Zeiss Terra Ed Compact Pocket Binocular 8×25 is a lightweight at 1.6 pounds. It is very small and it can fit in your pocket or on one of your backpack’s secure pouches. This binocular has an 8x magnification power on its 25mm objective lens. It is black. Most users who own one of these top binoculars in the market today from Zeiss are actually using it for star gazing and astronomy. This Zeiss binocular is an import from Japan, making most buyers trustful because of Japan’s quality products. 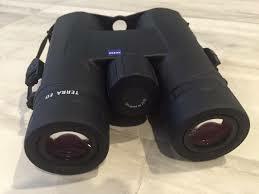 The last item from Zeiss for this best binoculars reviews list is the Zeiss Terra 524205-0000-000 Binoculars 8X42mm. This Zeiss binocular is one of the most expensive Zeiss products and it comes with a price tag of $$$ (click here for the price). The Zeiss Terra 524205-0000-000 Binoculars 8X42mm features precision focusing, making target hunting a lot easier even at night or when the light condition is poor. It also features comfortable eyecups, making viewing easier even for those who are wearing graded eye glasses. For long stalking and hunting moments, your hand can be at ease with its special grip area and with the large focus wheel, such activities are now easier. Zeiss Terra 524205-0000-000 Binoculars 8X42mm weighs 1.8 pounds. Rated 4.8 out of 5 stars from 110 customers. Click the image for prices and reviews! The first item from Nokia on this binocular review is the Nikon 7577 MONARCH 5 10×42 Binocular. Nikon has been known for producing quality optic products and this Nikon binocular is of no different. The Nikon 7577 MONARCH 5 10×42 Binocular can be yours for only $ (click here for the price). There are at least 5 Monarch binoculars in the market today and the Nikon 7577 MONARCH 5 10×42 Binocular is one of their top binoculars in the market today. 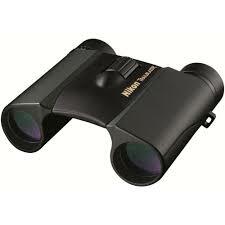 All Monarch binoculars have been using (Extra-Low Dispersion glass for its binoculars, provided by Nikon. The Nikon 7577 MONARCH 5 10×42 Binocular has Multicoated Eco-Glass Lenses for maximum light transmission. It comes with turn and slide rubber eyecups. It also comes with a smooth central focus knob plus a flip down lens caps. This Monarch binocular is fog proof and waterproof, ready to be used in any weather conditions. Rated 4.6 out of 5 stars from 158 customers. Click the image for prices and reviews! 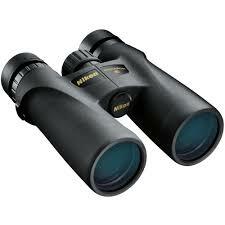 The second item from Nikon on this binocular reviews is the Nikon 8218 Trailblazer 10X25 Hunting Binoculars. Nikon has been known for producing quality optic products and this Nikon binocular is of no different. The Nikon 7577 MONARCH 5 10×42 Binocular can be yours for only $ (click here for the price). The Nikon 8218 Trailblazer 10X25 Hunting Binoculars also known as the Trailblazer is highly recommended for hunting needs. This comes with a sleek design, very compact and features powerful optics. This binocular has a 10x Objective Diameter on its 25mm Angular Field of View objective lens. The lenses have been multiple layered with anti-reflective compounds to make the image appear crispier and brighter. It also features a 65.0 FOV @ 1000 yards (feet). How much does Nikon trust this product? Nikon offers lifetime warranty, just bring it in their store and they will fix any problems that you will have with it regardless if you have a purchase receipt or not! Rated 4.7 out of 5 stars from 106 customers. Click the image for prices and reviews! One of the top binoculars from Nikon is the Nikon 8250 ACULON A211 16×50 Binocular. You won’t make any mistake with this binocular because of its excellent ergonomics – lightweight and HD clarity optics. One of the issues when using binocular is that it can tire our eyes but with the Turn-and-Slide Rubber Eyecups of this Nikon binocular, you can now enjoy binocular watching even for long period of time. The Nikon 8250 ACULON A211 16×50 Binocular has a price of $ (click here for the price) and for such a very good price, you will get a very good optics as well. This optics is made of spherical Multicoated Eco-Glass Lenses that works even in low light conditions. Nikon also made sure that this binocular can be used by anyone hence it comes with a smooth central focus knob – a knob that is easy to use and easy to operate. This binocular has a rubber-armored coating allowing user for a firmer grip even when it is wet. This top binocular in the market today offers a field of view of 220 feet and it weighs 2.95 pounds. Rated 4.8 out of 5 stars from 38 customers. Click the image for prices and reviews! The last item on our best binoculars reviews list is the Nikon 8263 ACULON A30 10×25 Binocular. This binocular comes in pure black. 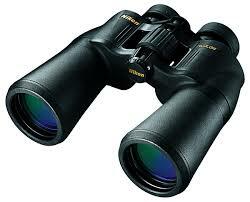 Being a Nikon product, you can be sure that this binocular features great optics, optics that is proudly Nikon. 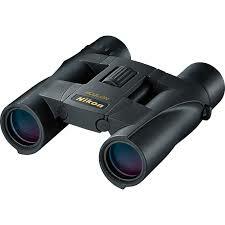 The Nikon 8263 ACULON A30 10×25 Binocular has a tag price of $ (click here for the price). It is compact and light that it only weighs less than 10 pounds. This binocular has Multicoated Eco-Glass lenses making it one of the best performing binoculars in the said price range. This is perfect for bird watching and any outdoor activities where you want to see more closely. This binocular has a dimension of 4.5 x 4.8 x 1 inches and it weighs 9.8 ounces. 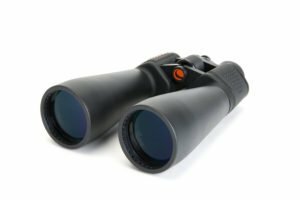 Here are the best binoculars from Steiner. Rated 4.8 out of 5 stars from 77 customers. Click the image for prices and reviews! 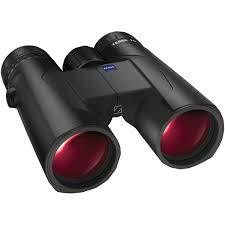 For this binocular review, the next item we have on the list is Steiner Marine Binoculars. This binocular that cost almost $300 (click here for price), features a 7x magnification power on its 50mm objective lens. This binocular is safe from water and fog hence you can use it regardless of the weather condition. With Steiner Marine Binoculars, you can focus on anything that is more than 20 yards away from you using its Sports-Autofocus system. The Steiner Marine Binoculars feature a BAK-4 prisms and multicoated optics for better, clearer and crispier image even when it is too dark. This top binocular in the market today from Steiner has a product dimension of 8.2 x 2.8 x 5.2 inches (W x H x D) and weighs 37 ounces. Steiner proudly offers a 10 year warranty for its binocular. Rated 5.0 out of 5 stars from 14 customers. Click the image for prices and reviews! 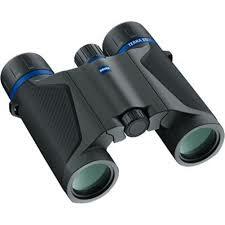 The second Steiner product on our binocular reviews list is the Steiner AZ830 Binocular. 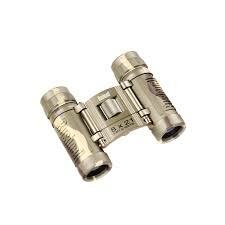 This is considered as an average binocular in term of price (click here for price) but offers excellent performance as a compact binocular. The Steiner AZ830 Binocular features Floating Prism System meaning it comes with flexible silicon lenses that doesn’t get affected by severe impact. It is shock proof that it can stand harsh conditions around it and possible regular use. Because it is compact, it can fit in any backpack side pocket or a man’s pants’ pocket. The design of this compact binocular also allows users to balance it in the palm while in use allowing longer observation time without tiring the entire hand. Just like any Steiner binocular, the AZ830 Binocular also features Sports-Auto Focus System hence seeing beyond 20 yards away is not an issue at all. The rugged body of this binocular is covered by Makrolon housing made of durable polycarbonate with NBR Long Life rubber armoring. Now that really means it can stand anything that comes along the way! Steiner AZ830 Binocular has Steiner’s Industry Leading Heritage Warranty, a special offer given to products that are proven to be durable and trusted. Rated 4.8 out of 5 stars from 4 customers. Click the image for prices and reviews! 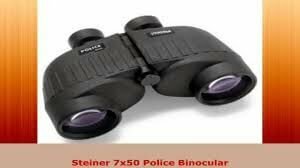 Another one of the top binoculars from Steiner is the 7×50 Police Binocular. This binocular costs $$ (click here for price). 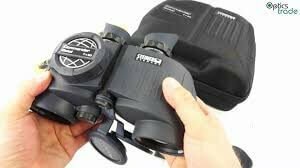 This is the type of binocular that police officers in movies use. Have you seen a movie scene or a police series where the police officer takes out his binocular during a sting operation? That binocular must look like the Steiner 7×50 Police Binocular! The Steiner 7×50 Police Binocular offers 7x magnification power with its 50mm objective lens. It features BAK 4 prisms and it is also an instafocus. It can see clearly beyond 20 yards and with tis Sports-Auto Focus System design, there is no need to make adjustment when looking at the said distance. Steiner added an official look to its police binocular by adding the word “POLICE” across its rubber armoring. With so many different best binoculars reviews, there are certain products and brands that keeps on popping up and one of them is Steiner. 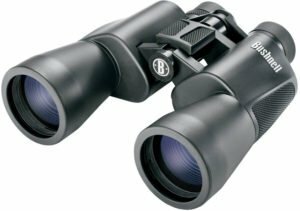 The Steiner Commander C Binocular is not among the favorite though in these reviews probably because of its price. The Steiner Commander C Binocular costs an arm and a leg (click here for the price). It is definitely one if not the top binoculars in the market today because with its high price comes very excellent features as well. The Steiner Commander C Binocular comes with an HD stabilized compass in a compact frame. This means the images that you will see when using it are in HD and are very clear and detailed. The quality of the images is the result of its high contrast optics. Regardless if you are a beginner or a professional binocular user, this binocular is very easy to use and very enjoyable. This binocular features Floating Prism System hence it can absorb even severe shock and impacts. It can even stand severe use and damages due to regular use. If you are stalking from 20 yards away, the Sports-auto Focus System will make the focus easier for you hence you can see clearly and brightly on both eyepieces without much effort. In addition, the lenses of the Steiner Commander C Binocular are sealed with N2 Injection System hence fog can’t penetrate it. This binocular weighs 5.1 pounds only and is made in Germany. Here are the best binoculars that Vortex Optics offer. Rated 4.8 out of 5 stars from 221 customers. Click the image for prices and reviews! The first Vortex product in our binocular review list is the Vortex Optics Diamondback 10×42 Roof Prism Binocular. This top binocular from Vortex Optics has a price tag of $$ (click here for the price). This Vortex Optics binocular features a 10x magnification power on its 42mm objective lens. If you want to know how durable this binocular is, just know that Vortex includes this in its list of products with VIP Unconditional Lifetime Warranty. This only shows that Vortex believes in the quality of this product. The VIP Unconditional Lifetime Warranty is given by Vortex to its products where in any damages will be fixed for free with no questions asked. This binocular has multicoated optics for better low light viewing. It also has phase corrected prisms. The Vortex Optics Diamondback 10×42 Roof Prism Binocular is fogproof and waterproof. The complete package of this Vortex binocular comes with freebies such as lens cover, rain guard, and neck strap and carries case. For its price and quality, this is indeed one of the top binoculars in the market today from Vortex. Rated 4.7 out of 5 stars from 44 customers. Click the image for prices and reviews! 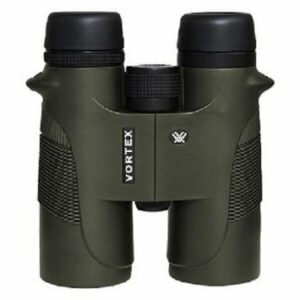 For this binocular reviews list, our second Vortex product is the Vortex Optics Diamondback 10×50 Roof Prism Binocular. This top binocular from Vortex Optics has a price tag of $$ (click here for the price). The optics of this binocular is protected from fog and water by the O-ring seals and argon gas purged on it. The light transmission of this binocular is also great with its fully multicoated lenses on all air-to-glass surfaces. The Vortex Optics Diamondback 10×50 Roof Prism Binocular has an eyecup that can be twisted up and down hence using it for viewing is now easier. Regardless if you wear glasses or not you can now enjoy viewing your target with this binocular even for a long period of time. Focus adjustment can be done using the binocular barrel and if you want to have different focus for both eyes, the diopter can do so. The diopter is a knob on the right hand side of the binocular. Rated 4.8 out of 5 stars from 95 customers. Click the image for prices and reviews! One of the top binoculars that Vortex ever produced is their Vortex Optics Diamondback 8×42 Roof Prism Binocular. 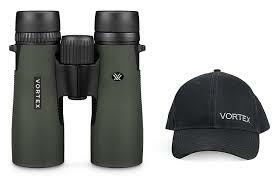 This top binocular from Vortex Optics has a price tag of $$ (click here for the price). The Vortex Optics Diamondback 8×42 Roof Prism Binocular features 8x power magnification on its 42mm objective lens. This has optics that is fully protected from fog and water because of its O-ring seal on the optics part. 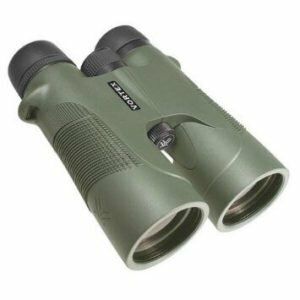 If you are going hunting or just want to star gaze at night, the clear view provided by the fully multicoated lens of this binocular will surely give you a clear image of your target or the stars. As a bonus, this last top binocular in the market today from Vortex comes with rain guard, a neck strap, a lens cover and a carry case that is custom molded to the Vortex Optics Diamondback 8×42 Roof Prism Binocular. From best binoculars reviews, here are the top binoculars from Celestron. Rated 4.2 out of 5 stars from 1866 customers. Click the image for prices and reviews! For this list, we have two of the best binoculars from Celeron and one of them is the Celestron SkyMaster Giant 15×70 Binoculars. 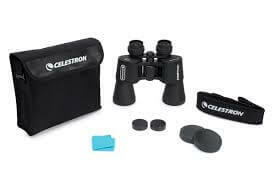 Celestron is a known maker of quality yet affordable binoculars like the Celestron SkyMaster Giant. For this binocular, it can be yours for only $ (click here for the price). The Celestron SkyMaster Giant 15×70 Binoculars has multicoated optics and large aperture. With its large aperture and optics, you can still see even in low light conditions hence it is perfect for stargazing and stalking a prey at night. This binocular is compatible with tripods and it comes with tripod adapter. It comes with generous eye relief of 13mm. This top binocular in the market today from Celestron features a 15x power magnification from its 70mm objective lens and if you need to focus, you can use the diopter adjustment system. The last item in our binocular review list and the second product of Celestron is the Celestron 71198 Cometron 7×50 Binoculars. On our list of top binoculars in the market today, the 71198 Cometron is one of the most affordable at $ (click here for the price). Since the Celestron 71198 Cometron 7×50 Binoculars have a large view with its 50mm objective lens, it is perfect for star gazing. It comes with optics that is great even at night, making it one of the best and most popular astronomy binoculars as well within the budget. The Celestron 71198 Cometron 7×50 Binoculars features 7x magnification power with its 50mm lens and for its price, you can be amazed at how durable this binocular is. After reading different binocular reviews and checking the list of top binoculars in the market today, choosing the best binocular that will suit your need must be easier now. For additional tips, we have these additional points as well for you to ponder on. What is the binocular’s weight that suits you best? Compact binoculars are lightweight but since it is small, some features are limited as well. If you need something good in feature and size, you might want to consider a full size binocular. Most hunters consider binoculars below 35 ounce to be likeable and comfortable. At such weight, a binocular can be carried and hang into your neck without straining your neck. Do you want to bring a tripod all the time? binoculars with more powerful magnification settings such as those that are above the 10x magnification needs to be on a steady ground in order for the image to register clearly. For this reason, a tripod is often recommended. Maintaining and cleaning your binocular. Most binoculars come with lens cover and a cloth to clean the lenses. Always use the said lens cloth in cleaning your binocular’s lenses. Follow the steps provided in your manual as well as to how to clean it.